When it comes to shopping, quirky, one-off items are always the best choice, and Shropshire has plenty to offer. Whether you’re looking for a vintage clothing, charming accessories for your home, or even some new equipment for the kitchen, you can easily find what you need from Shropshire’s very own independent retailers. Here are our favourite shops in Shropshire you won’t find anywhere else…. Located on the busy high street in the small market town of Newport is the popular independent gift shop, No.45. This well-known shop provides you with unique yet affordable gifts. Choose from an array of jewellery, scented candles or even decorative stationery, cutlery and much more. Whatever your choice, No.45 can always provide you with a special gift to suit your summer shopping needs. The Ironbridge Gift Emporium opened back in 2001, but is still a popular shopping destination for the people of Shropshire. Sourcing directly from their factory in India, their products range from hardwood furniture to cosy home accessories, all unique and made with quality. This little shop embodies the distinctive feel of the Ironbridge town, with gifts and products you’ll struggle to find anywhere else. Launched in 2011, this family run business has become a favourite for the shoppers of Telford. Situated in Telford town shopping centre, this shop offers vintage style accessories, all high quality and affordably priced. With a fragranced bag with every purchase, this shop leads on charming products and delightful service. 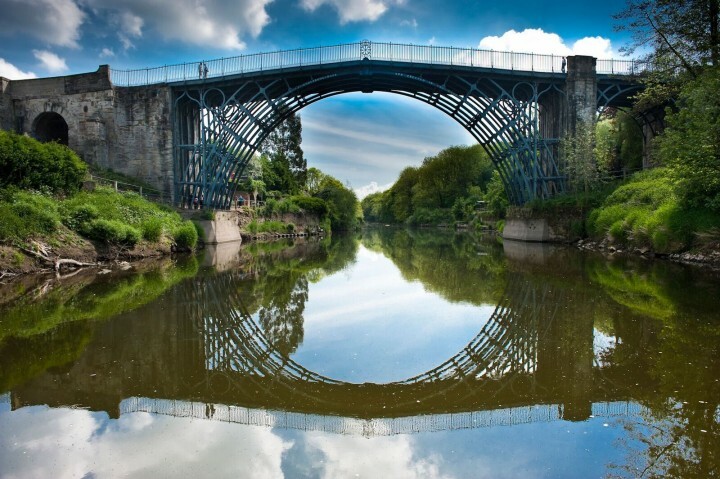 Just a few steps from the famous Ironbridge, is the Darlington’s of Ironbridge shop. Set in the heart of the town, this family run businessis filled with products suitable for all occasions. If you’re looking for glassware, baby gifts, home accessories of even gift cards, the Darlington’s shop is perfect when searching for wonderful gifts and presents. Just down the high street from No.45 is Newport’s very own Cookshop. This mother and daughter business is fairly new to the town, but is run on passion for cooking, baking and all things food related. The Cookshop can provide you with anything you need for an afternoon baking delicious treats, to the everyday necessities for your kitchen. You can even check out their website for recipes, blog posts and much more. In the heart of the Shrewsbury town centre is one of Shropshire most charming gift stores, Wysteria Lane. From its delightful collection of womenswear, to its enchanting range of home decorations, this shop is perfect for anyone looking for a true country vibe. This independent business is one of Shrewsbury’s hidden gems. Right on the high street, this quirky gift and card shop offers a range of original and stylish items that are perfect for any gift or for your home. This one-of-a-kind shop is home to a huge range of traditional and limited edition teddy bears, including Cheeky Bears, Punkie Bears, some Merrythought’s unique soft toys and a range of discounted items and shop exclusives. After you have admired the stores collection, there is also a small museum to explore some of the earliest Merrythought and Farnell teddy bears on display, dating as far back as 1909. If you’re a lover as vintage clothes and exotic jewellery, Hannah’s is the perfect place to splurge. This independently run business is home to a vast collection of pre-loved clothes, jewellery made in Madrid, and scented Woodwick candles. Get a taste of vintage British style at affordable prices. Down St Mary’s Street in Newport is one of the town’s most treasured retailers, Daisy Chain. Most known for their unique range of ladies fashion, footwear and accessories, this ladies boutique has plenty to offer if you’re wanting to add to your summer collection. August: Ramada Telford Ironbridge is one year’s old!